K&N air filters offer an optimal blend of high air flow, filtration efficiency, durability and dust capacity. K&N high flow filter media has been tested in our own in-house laboratories and by independent labs using the ISO5011 air filtration standard developed by the Society of Automotive Engineers. Our goal at K&N is to design air filters with the most possible airflow while providing guaranteed engine protection. K&N is dedicated to providing quality air filter products that meet or exceed your high performance and high filtration demands. K&N uses independent testing labs in addition to conducting tests using our own state-of-the-art in-house testing laboratory. The quality of K&N air filters can also be seen outside the laboratory. Carl Judice, of New Iberia, Louisiana, drove more than one million miles with a single K&N air filter installed in his three-quarter ton Chevy pickup. Carl points out that he has never had to rebuild the engine or remove the cylinder head from his trusty pickup truck. Customer satisfaction along with real-world testing doesn’t get any better than that. Fuel economy testing and mileage claims are not as cut and dry as they may seem. The EPA’s website states, “EPA’s fuel economy estimates are designed to allow consumers to comparison shop. Your fuel economy will almost certainly vary from the EPA’s fuel economy rating. This is based on a number of factors, such as weather, road conditions, your driving and maintenance habits, and your use of air conditioning.” Many exaggerated claims are found in the marketplace by automotive product manufacturers claiming to improve vehicle gas mileage. K&N does not make any general fuel economy claims. 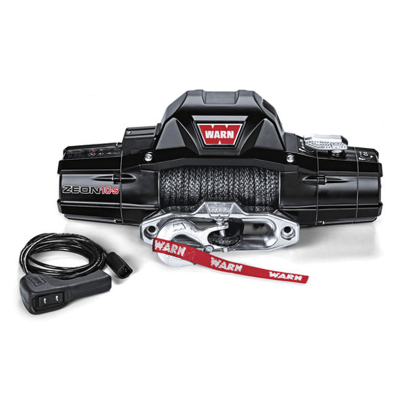 We simply encourage you to try our washable air filter products for yourself. A K&N air filter is designed with four to six layers of cotton gauze media sandwiched between two aluminum wire screens. The cotton media is then treated with a specially formulated grade of filter oil that causes tackiness throughout the cotton’s microscopic strands. The cotton in a K&N air filter allows high volumes of airflow, and when combined with the tackiness of the filter oil creates an efficient filtering media that ensures engine protection. The K&N Consumer Protection Plan goes a step further than the K&N Million Mile Limited Warranty. At times, the performance aftermarket has been plagued by automotive manufacturers and auto dealers that may attempt to discourage you from modifying your vehicle. 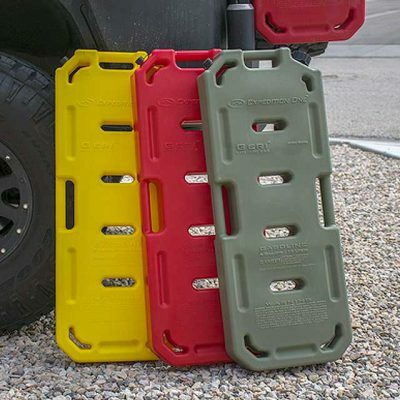 They would prefer that you buy OE parts and not customize your car or truck and have even voided their own manufacturer’s warranty due to vehicle modifications. K&N and the Magnuson-Moss Warranty Act protect consumers from such denied warranty claims. When you buy a K&N OE replacement air filter or air intake system you can be confident your vehicle’s warranty will remain in effect. If you encounter a dealership that wants to void your warranty because of one of our products, K&N will resolve the issue so you won’t have to. We believe K&N makes The World’s Best Air Filter and we stand behind that claim 100 percent. K&N Filters has been designing and manufacturing performance air filters since 1969. We have designed and manufactured over 2400 high flow air filters to fit most of the latest passenger vehicles and over 500 performance air intakes for automotive and motorcycle owners interested in increasing vehicle horsepower and acceleration. 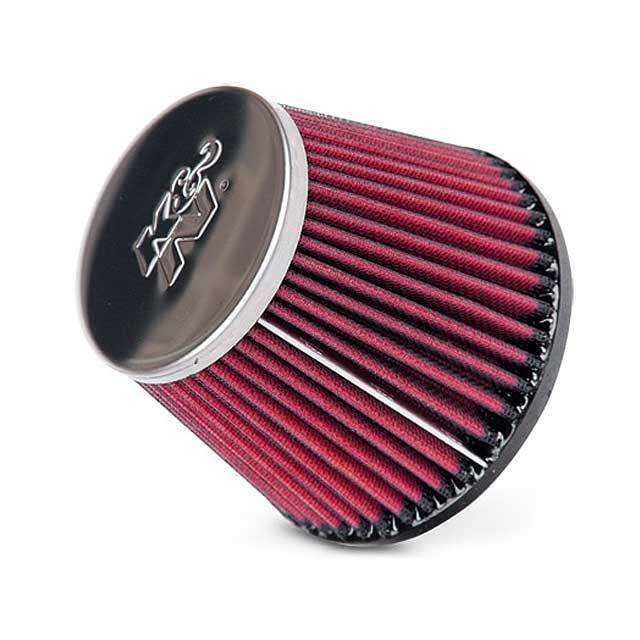 K&N also makes thousands of racing and specialty type air filters and we are the #1 Filter in NASCAR®. 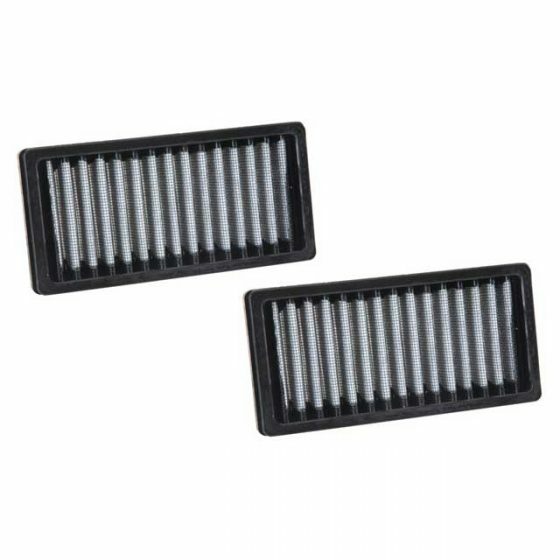 K&N replacement air filters for motorcycle & ATV offer a lifetime of performance for Harley-Davidson® motorcycles, sports bikes, off-road vehicles, watercraft, snowmobiles and go karts. K&N heavy duty diesel air filters offer excellent filtration and engine protection for class 4-8 trucks, diesel equipment, motorhomes, recreational vehicles, buses, fire trucks, transport vehicles, refrigeration equipment, generators and big rigs. K&N small engine & light industrial air filters are designed to improve the performance of tractors, outdoor power equipment and other small engine applications. K&N also offers a variety of racing air filters, boat, watercraft and other marine flame arrestors, universal clamp on air filters and crank case vent filters for performance and engine protection. Many universal air filter sizes and shapes are available to fit your needs. A K&N car air filter replaces the stock paper filter and provides performance and engine protection. 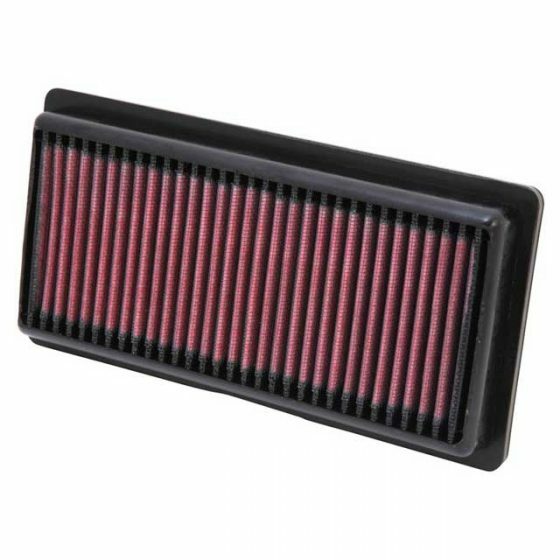 Why Get a K&N Air Filter? 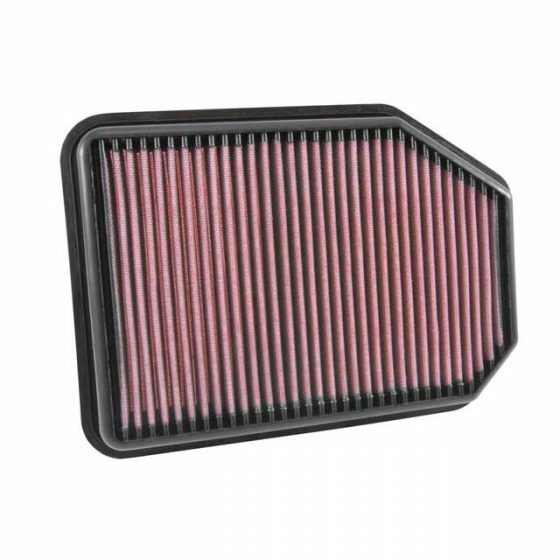 A K&N replacement air filter is designed to improve vehicle performance, provide excellent engine protection and last the life of your car, truck, motorcycle, ATV and more. K&N air filters are easy to install and come with the worry-free K&N Million Mile Limited Warranty®. K&N automotive replacement air filters are designed to add horsepower and acceleration to your car or truck by providing up to 50% more air flow. 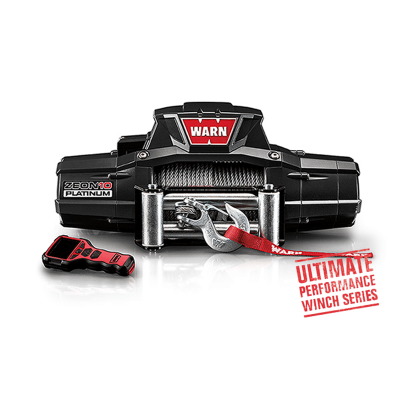 More air flow can result in crisper throttle response and more torque throughout the engine RPM range. K&N air filters are made up of multiple layers of oiled cotton filter media that not only provide superior air flow but also excellent filtration to ensure long engine life. 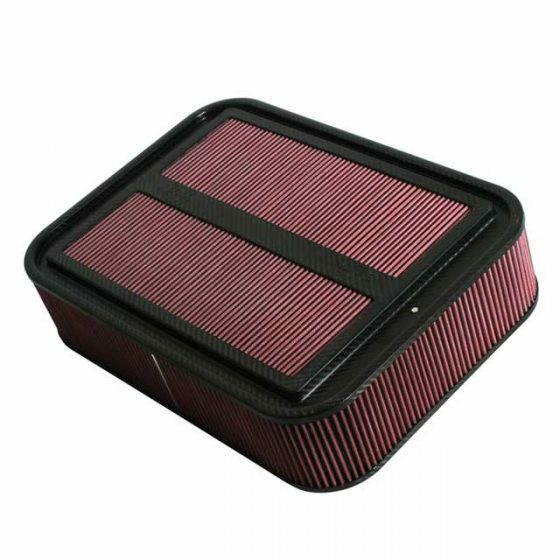 K&N replacement air filters are made for virtually every vehicle on and off the road and they are custom designed to fit into your specific vehicle’s factory air box. Instead of swapping out your old paper air filters over-and-over again, with K&N you simply drop in a K&N replacement air filter once and you’ve boosted the lifetime performance of your vehicle in as little as 5 minutes! K&N replacement air filters last up to 50,000 miles between servicing, depending on driving conditions. With the K&N Air Filter Cleaning Kit you can easily clean and re-oil your air filter bringing it back to brand-new condition and ready for another 50,000 miles of use. Your one K&N air filter is designed to last for the lifetime of your vehicle which can save you a bundle of money in the long-run and eliminate the waste generated from buying and disposing countless paper air filters. K&N air filters are guaranteed to perform for up to10 years or 1,000,000 miles without needing replacement. For full details visit the K&N Million Mile Limited Warranty page for more details.